Overall, I enjoyed The Bane. Eve was a fun heroine and I thought that the love triangle was handled well and didn't appear too clichéd or unbelievable. This seemed to me a little like The Host, with robots rather than aliens, and I think that's why I could only give it three stars. It was a good read, but it felt like I'd seen it all before. The prose was well-written and very readable, though, and it was a nice quick and easy read to pass a couple of hours. There were a few formatting issues with the EPUB but this was an ARC and no doubt that will be remedied before the book actually releases. 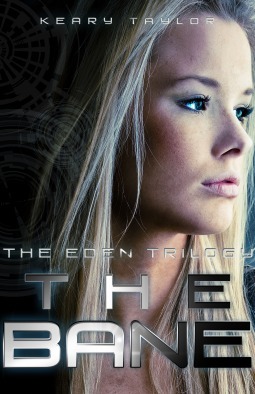 If you loved the The Host and/or have an interest in YA sci-fi, then I can recommend giving this book a try.